Free Sagittarius horoscopes and astrology forecasts for men and women daily, weekly, monthly and yearly have never been easier to find online. 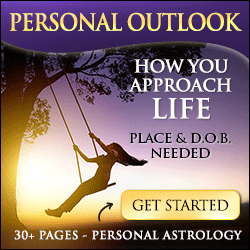 Daily Sagittarius horoscopes are featured by astrologer, with reviews of their websites. We've got Sagittarius weekly horoscopes and Sagittarius monthly horoscopes too. We feature the best Sagittarius horoscopes online, including 2019 yearly horoscopes for Sagittarius covering the outlook for the whole year ahead 2019. Explore the section on personality traits, zodiac characteristics and tendencies and have a look at the Sagittarius love horoscopes too for insight into the astrology behind male and female Sagittarius singles and couples in relationships with partners. The zodiac sign of Sagittarius is the 9th sign in astrology. Well known for their characteristic optimism and love for freedom, exploration and travel, Sagittarius is symbolized by the Archer, or Centaur. The arrow is also frequently used. As one of the fire signs, this sign is passionate, enthusiastic and has larger than life tendencies. Having mutable quality or cardinality gives Sagittarius a flexible and adaptable personality. Sagittarius is ruled by the planet Jupiter, the planet of luck and expansion. This brings expansive gifts to Sagittarius as things seem to work out well for them in general. These traits may manifest in Sagittarius rising as well or those with the moon in Sagittarius in their natal chart. In relationships, Sagittarius is friendly and cheerful, with an infectious optimism and a love for humor which can take the form of teasing. They can be somewhat restless or even occasionally quick tempered and sometimes their optimism is blind. They can be careless, one of their less desirable personality traits. Sagittarius is honest, though sometimes this manifests as characteristic tactlessness. They are also philosophical and intellectual, seeking the meaning of life. Sagittarius is happiest when exploring and traveling. They just love adventure. Highly intuitive, Sagittarius is also strong willed. Generally considered the most service oriented of the zodiac signs, Sagittarians are very sensitive with strong female (yin) energy. In love, Sagittarius males and females make faithful spouses. They are very sincere, and ardent. They also possess warm, kind and generous personality traits. However, their personality needs to feel free and they do not tolerate feeling hemmed in well. They sometimes overwork at the expense of their relationships. Sexually, Sagittarius can be very flirtatious and have quite passionate temperaments. Spiritually, Sagittarius is philosophical and intellectual, seeking the meaning of life. In fact, Sagittarius rules the house of philosophy in zodiac astrology. Sagittarius men and women are also passionate about justice and go out of their way for what they believe is right. Professionally, Sagittarius make excellent teachers are keen researchers and possess excellent organizational skills. They thrive where there is variety and where they are able to teach others and make the information they process available to others. If you would like to know more about Sagittarius astrology for sun sign, moon sign and rising sign, visit our brief zodiac astrology primer or our more in-depth look at what's behind the personality characteristics, traits and tendencies of the horoscope signs of the zodiac. For even deeper information and Sagittarius horoscopes daily, weekly and monthly from the best astrologers on the web, follow our links and check out our home page at free horoscopes and astrology. We've gathered together our favorite astrology websites in one convenient place to save you the trouble of searching for hours to find free horoscopes for Sagittarius and astrology forecasts online! Our description of the sign of Sagittarius is only a brief overview. For much more information about the sun, moon and rising sign of Sagittarius in western zodiac astrology, we recommend the following astrologers. Whether you speak Francais, Deutcshe, Espanol, Dutch, Svenske, Portuguese or Anglaise, sagittarius, we've got the best sagittarius horoscopes online!